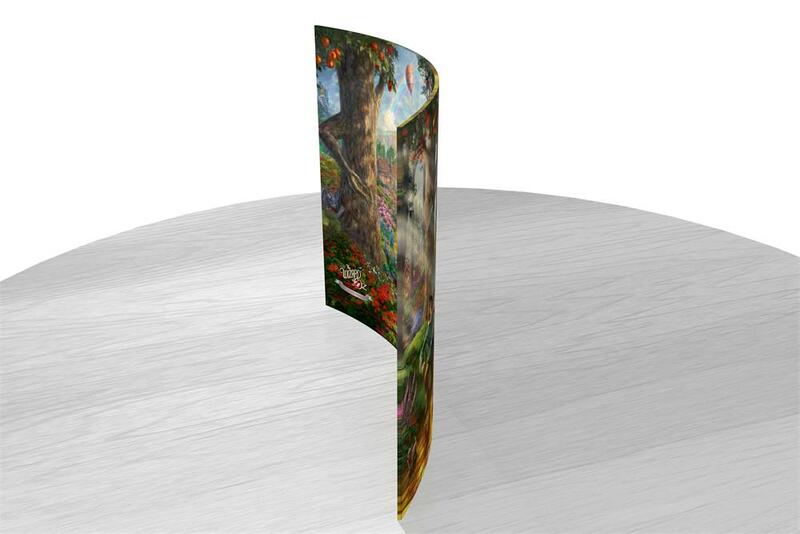 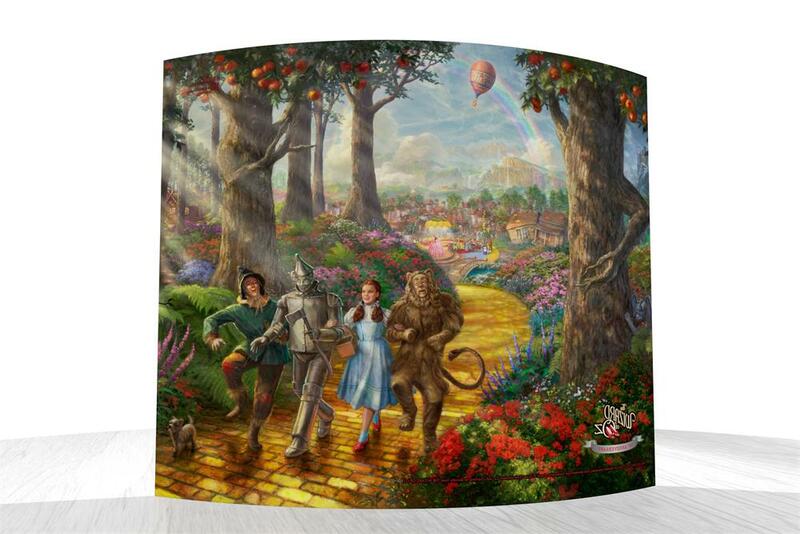 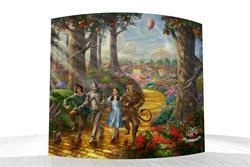 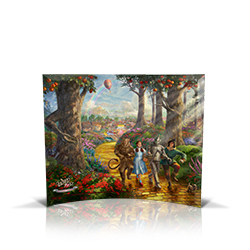 Celebrate the 75th anniversary of The Wizard of Oz with this StarFire Prints curved glass featuring a panoramic image of the beginning of Dorothy’s journey down the Yellow Brick Road™ by Thomas Kinkade Studios. 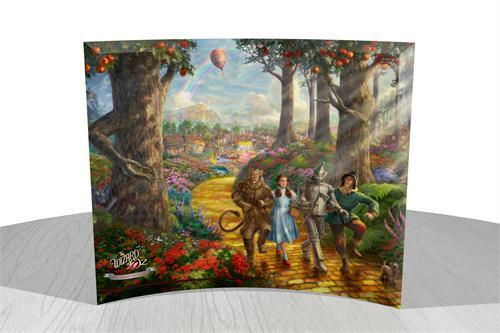 The free-standing, curved glass brings an elegance to this collectible that insures the display will shine with all the elegance of the Emerald City™. 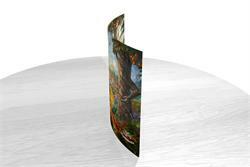 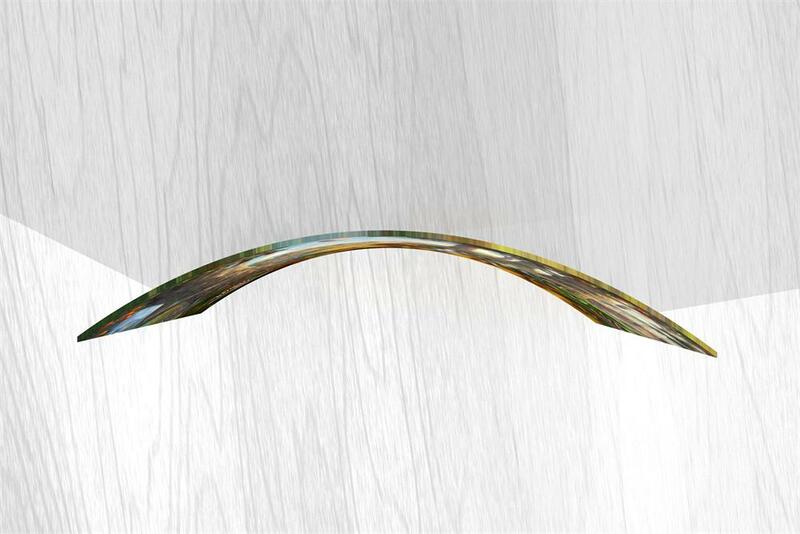 StarFire Prints curved glass photos are photographic quality prints on translucent glass. Featuring artwork from your favorite movies, these prints are an elegant way to display your fandom to the world. 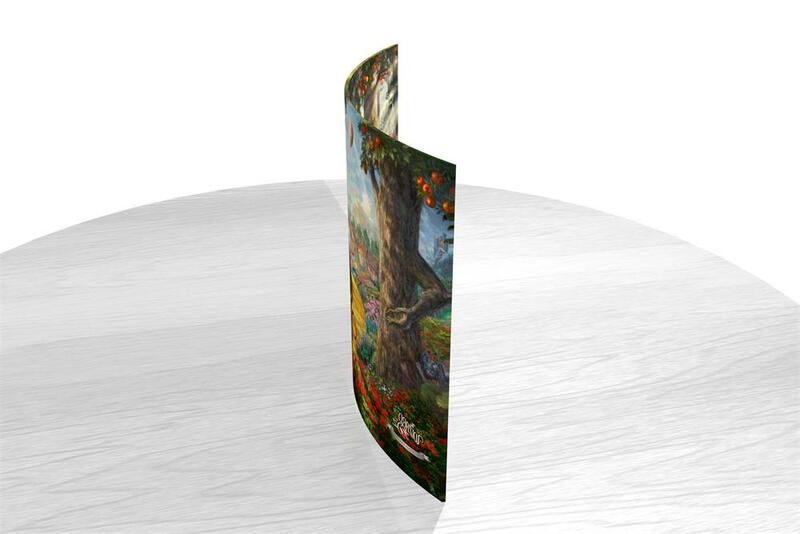 These images are permanently fused into the glass, resulting in a semi-translucent print that captures the natural light, enhancing the color display and making each image a true piece of art.